Dry figs mixed with olive oil are very common for the coastal areas, but if it is healthy for people living there, why would it not be for the others. Bacteria in the digestion system are one of the problems where this mixture from fruit and oil gives very positive results. Figs are a very interesting and appreciated juicy fruit. Some like them some do not. A lot of people have it in their gardens as an ornamental plant, due to the characteristic exotic leaves. Moreover, figs are most successful in the warm regions, near the sea, but they can be also grown in the continental regions. This fruit is very sensitive to low temperatures. Figs contain a lot of calcium, potassium, zinc, beta carotene, iron, and vitamins C, A, E and K. Dry figs are much more caloric than the fresh ones, and so they should be eaten in limited amounts. What’s more, they improve digestion, help with hemorrhoids and regulate cholesterol levels. Also, this fruit has mild laxative properties. Moreover, they can replace milk products due to the amount of calcium which they contain, in case someone is lactose intolerant. The milk in the figs has the ability to remove warts. However, there are people who are allergic to this fruit, so one should be always careful. 40 dry figs are put in a jar, and then you sip olive oil to the top of the jar. Then, the jar is closed and kept like that for 40 days. The figs will absorb a big amount of the olive oil. Afterwards, you eat one fig before each meal. A lot of people will tell you that this is not very tasty, but it is useful. You should use the best olive oil and the best dry figs you can. 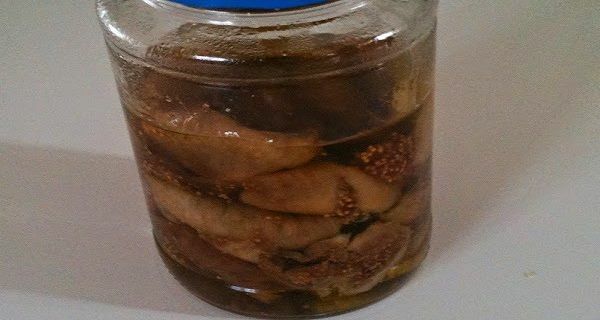 This old traditional recipe can help you with stomach problems, hemorrhoids, constipation, high cholesterol levels, anemia, asthma, bronchitis, etc.